Chinese Romeo Meeting English Juliet in Stratford? Romeo and Juliet East and West. To celebrate the “cosmopolitan” 2012 London Olympics, British festival organizers invited performers from around the world to showcase their works. 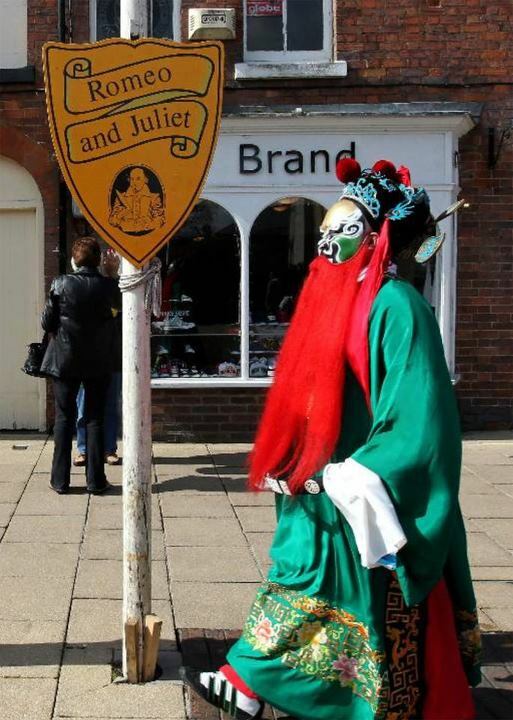 Shown in this photo is an actor from China’s Zhejiang Kunju Troupe walking down Henley Street, Stratford-upon-Avon where the Shakespeare Birthplace Trust is located. 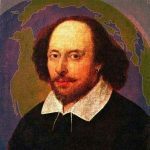 They performed the Peony Pavilion (1598), a play often regarded as the Chinese Romeo and Juliet.